Our cloud computing services are at the heart and core of many successful businesses and help them achieve their goals at a much faster and cost-effective rate. The journey to unlocking the full potential of the cloud takes quite sometime, because of the fundamental paradigm shift of how we deal with computing. We have found that many organizations need help in fully unlocking the true potential of the cloud, let alone how to migrate their existing infrastructure onto the cloud in a proper and correct basis. 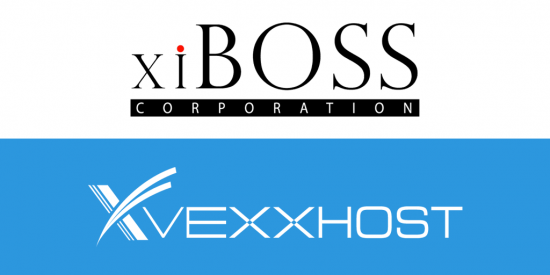 Today, we are announcing one of our newest partners, xiBOSS corporation, which can help you be far more productive at achieving your business goals. For customers looking to get into big data but worried about all the complexities that can be introduced by it, their big data services labeled “xiDATA” will help you every step of the way, from assessment and planning to implementation. There is no need to work with complicated software or large investments in hardware or workforce, xiDATA can help bring you up to speed in a fraction of the time and help get you the answers that you need about your business. We are excited about this partnership and we look forward to bringing aboard partners which can help you leverage your cloud computing services far more efficiently! A little bit about us, VEXXHOST is a high performance cloud solutions that is secure & reliable OpenStack based solutions for Developers & Enterprises. Solutions to support your demanding requirements and workloads used by active customers in over 70 different countries.VEXXHOST was created in 2006 and opened it’s virtual doors as web hosting provider. VEXXHOST now offers Public, Private and Hybrid cloud all powered by OpenStack.